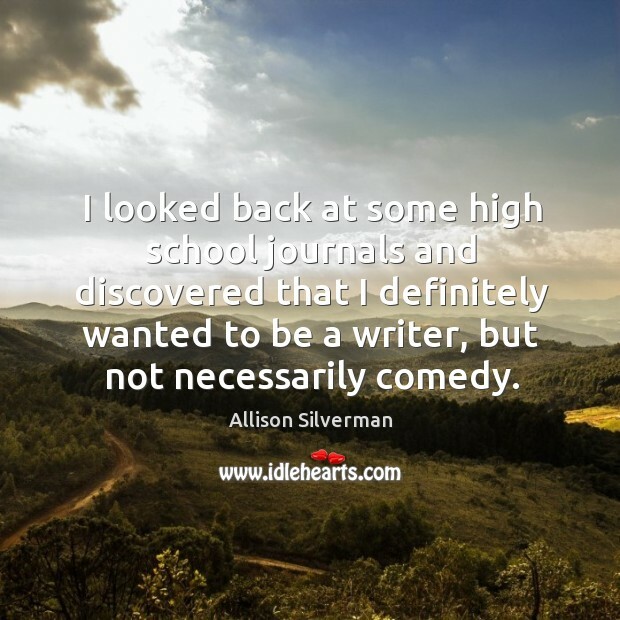 Enjoy the best inspirational, motivational, positive, funny and famous quotes by Allison Silverman. Use words and picture quotations to push forward and inspire you keep going in life! In high school, I was performing "forensics." You take a section of a play and portray all the characters. 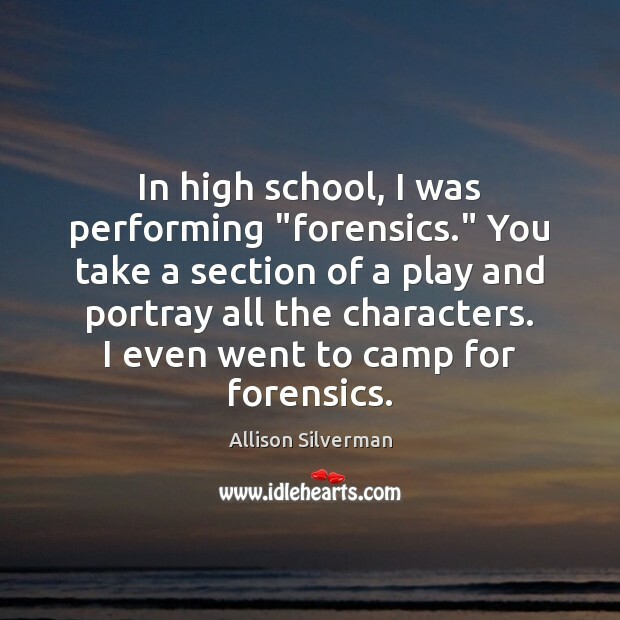 I even went to camp for forensics. 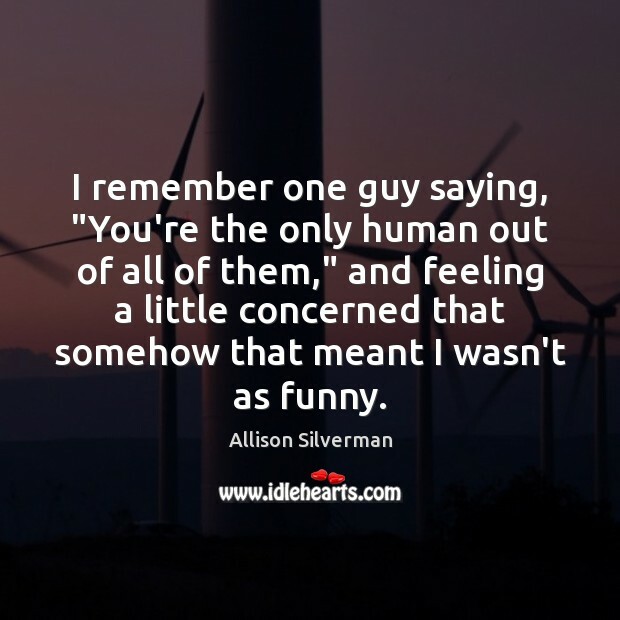 I remember one guy saying, "You're the only human out of all of them," and feeling a little concerned that somehow that meant I wasn't as funny. I do love science. 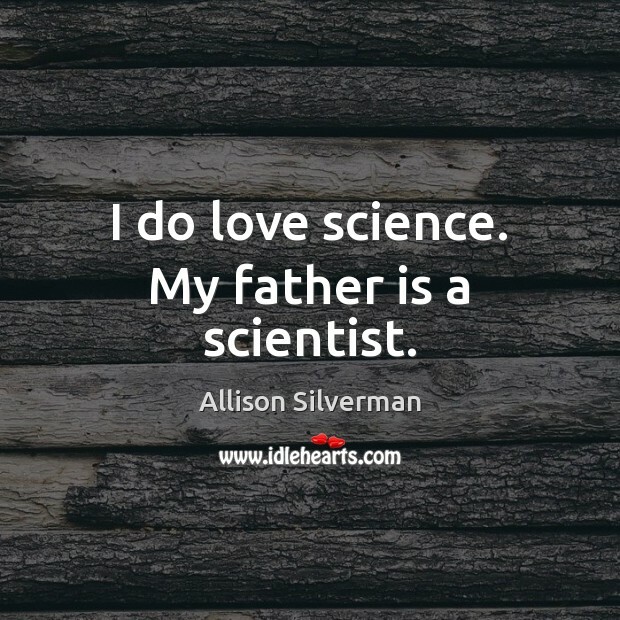 My father is a scientist. 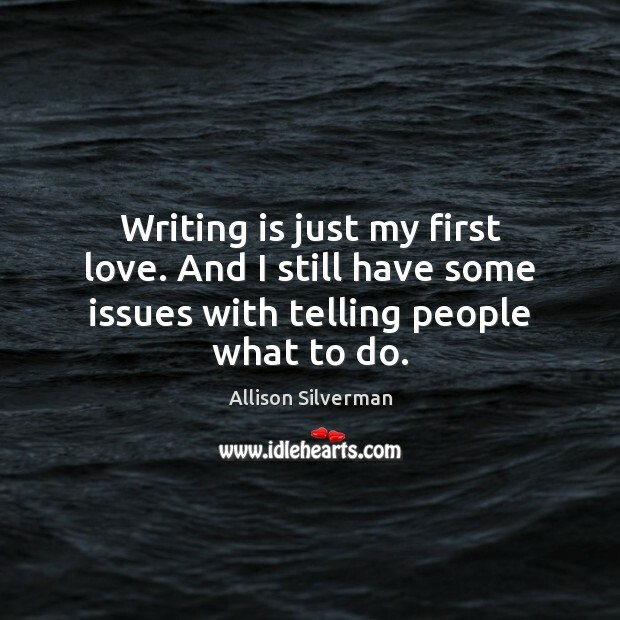 Writing is just my first love. And I still have some issues with telling people what to do. 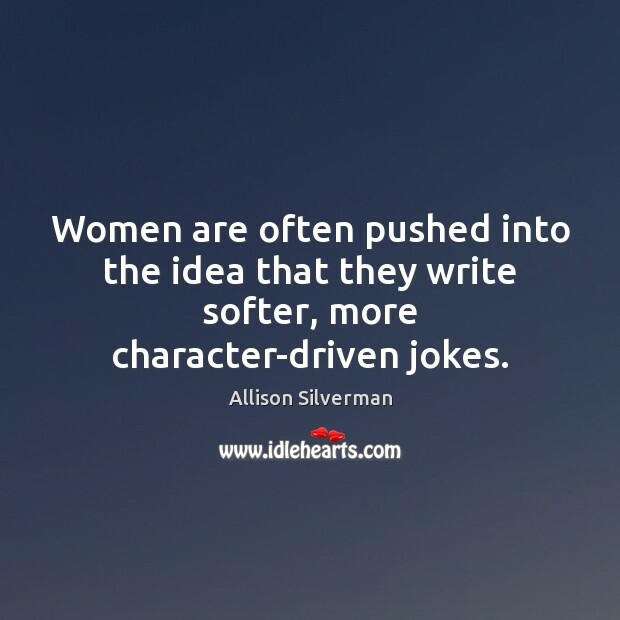 Women are often pushed into the idea that they write softer, more character-driven jokes. 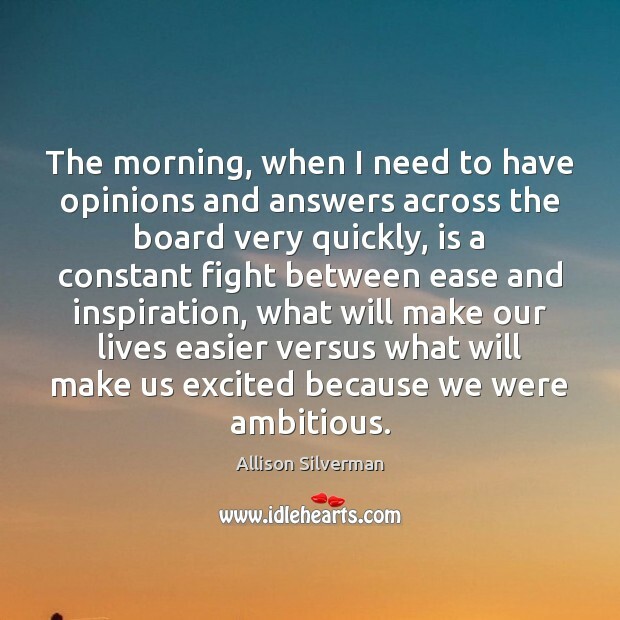 The morning, when I need to have opinions and answers across the board very quickly, is a constant fight between ease and inspiration, what will make our lives easier versus what will make us excited because we were ambitious. 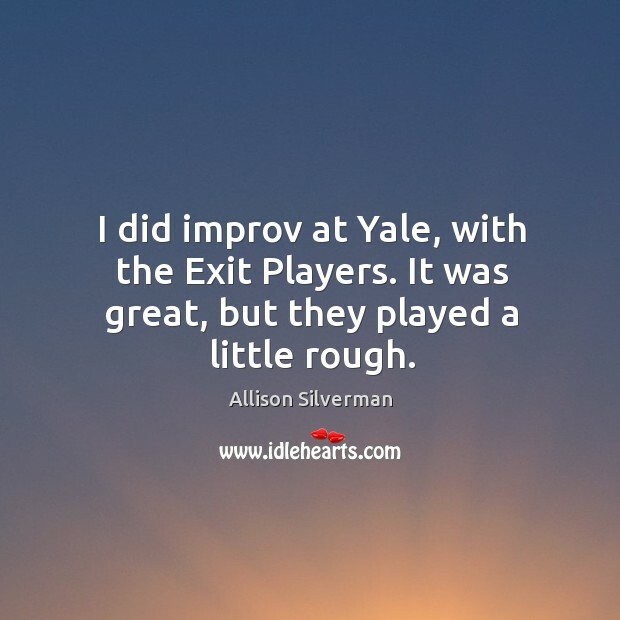 I did improv at Yale, with the Exit Players. It was great, but they played a little rough. I actually write some pretty tough jokes. 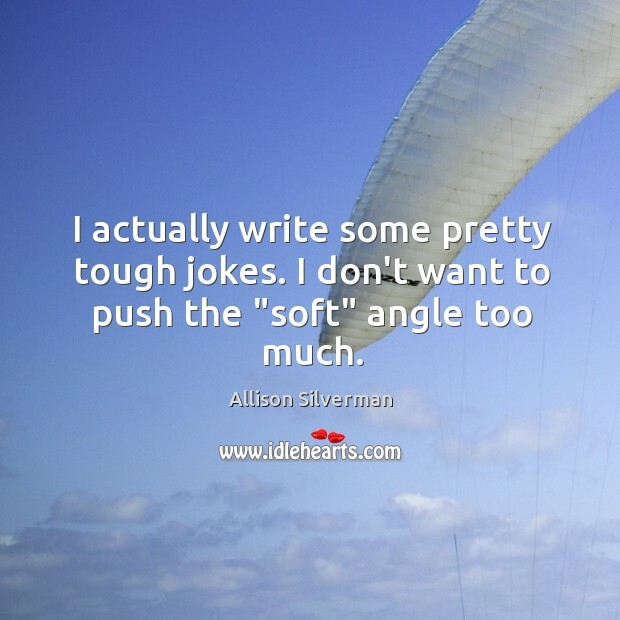 I don't want to push the "soft" angle too much. I've met a surprising number of comedy writers whose parents are scientists. 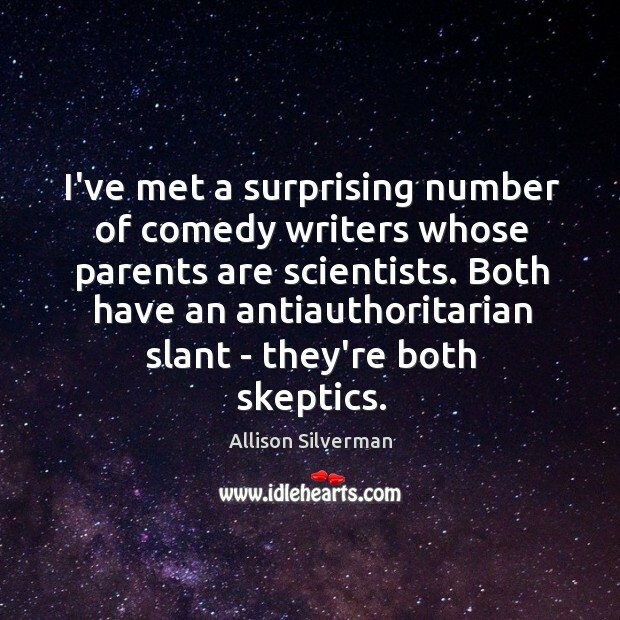 Both have an antiauthoritarian slant - they're both skeptics.